Dairy haters, listen up: Women who ate the most low-fat dairy products had a lower risk of type 2 diabetes, according to a recent study of more than 82,000 women published in the Journal of Nutrition. Researchers think that certain milk proteins increase insulin secretion. 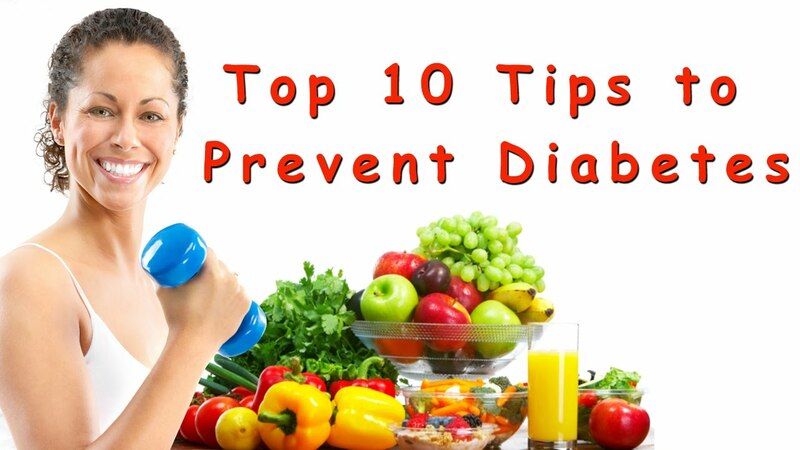 Interaction among nutrients such as vitamin D, calcium, and magnesium may also lower the risk of diabetes. Another factor: If you’re filling up on dairy, you may be less likely to eat other foods, such as sweetened beverages or snacks, which can raise diabetes risk. (Could you have diabetes? Don’t miss these surprising diabetes symptoms. )Use the news: Swap your usual bagel or muffin breakfast for yogurt (mix in berries and nuts for a filling, nutritious parfait), enjoy a glass of skim milk with fruit for dessert, and snack on a low-fat string cheese with a couple of whole-grain crackers to quench pre-dinner cravings. New research confirms that a produce-rich diet can reduce your diabetes risk, according to a British study from the Institute of Metabolic Science in Cambridge. After researchers studied the eating habits of more than 3,700 adults ages 40 through 79, then followed them for 11 years, they discovered that adults with the highest fruit and vegetable intake (about six servings daily) had a 21 percent lower risk of developing type 2 diabetes than people who ate the least (about two servings a day). Variety mattered: People who consumed 16 different kinds of produce a week were 40 percent less likely to develop diabetes than those who ate just eight different types. Here’s how eating a high-fiber diet helps diabetes. Use the news: Have at least one fruit or veggie at every meal or snack, and change things up from day to day and week to week. Challenge yourself to buy one new item a week at the supermarket and learn a new recipe to prepare it. Guidelines from the American Diabetes Association and the European Association for the Study of Diabetes say blood sugar goals should be based on individual risk factors, such as age, health status, and diabetes complications. Doctors may recommend hitting a lower A1c level in people who are younger and have no risk factors for heart disease or serious bouts with low blood sugar. People 65 and older with some of these issues may have less rigid numbers to hit, in part because of concerns about low blood sugar levels and side effects from too many medications. The guidelines also recommend metformin as a first-line type 2 diabetes treatment (unless a patient has near-normal A1C numbers and is highly motivated to make lifestyle changes). Other drugs can be added if after three months blood sugar levels aren’t controlled on metformin alone. Use the news: Ask your physician what he or she thinks about the changes and how they may apply to you—especially if you have been recently diagnosed, have changed or added medications, or have made significant lifestyle changes (like a big weight loss). A recent Harvard study found the greater a person’s white rice intake, the higher his or her risk for developing type 2 diabetes. The researchers examined the data from more than 350,000 participants over the course of four to 22 years. Compared with its brown counterpart, white rice has lower levels of fiber, magnesium, and vitamins. In addition, white rice is considered a high glycemic food, which means it’s digested quickly and can lead to blood sugar spikes. Use the news: Hate the taste of brown rice? Mix it with white to help your taste buds adjust, gradually upping the proportion of brown to white. Or consider one of these good carbs for diabetics. High blood levels of common chemicals called phthalates are associated with about double the risk of type 2 diabetes, according to a Swedish study of more than 1,000 older men and women published in the journal Diabetes Care. They’re found in such wide-ranging products as building materials, clothing, cosmetics, and personal-care products, food packaging, toys, perfumes, and vinyl products. While the study can’t prove that pththalate exposure causes diabetes, researchers suspect the chemicals may affect risk by disrupting insulin production. Use the news: Because phthalates are found in so many products, it’s hard to avoid them entirely. But this can can help reduce your exposure: Avoid plastic containers with the recycling symbol #3 on the bottom (it designates products that contain PVC, a type of plastic that contains the additives). Buy phthalate-free beauty products and skip those that contain “fragrance” as an ingredient. Ventilate your home: Indoor air tends to have higher phthalate levels than outdoor air. Australian researchers studied overweight and obese middle-aged adults and found that when they broke up a long bout (five hours) of sitting with two minutes of walking, their bodies had better control of post-meal glucose and insulin levels throughout the day compared to when they didn’t take such breaks. Researchers say that over time, preventing post-meal spikes in glucose and insulin can protect the arteries and heart from damage. Use the news: Get up from your desk every 20 minutes or so. Stretch, fill up a glass of water, speak to a colleague in person, or stand up during meetings. Could downward-facing dog or a cat stretch translate to better blood-sugar numbers and a slimmer waist? In a study from India, 123 people with diabetes who took yoga classes lost a few pounds and kept their glucose levels steady. In contrast, a control group that didn’t do yoga saw their levels rise. Levels of cell-damaging free radicals—which play a role in diabetes complications like vision loss and kidney damage—fell 20 percent. Use the news: You don’t have to be flexible as a pool noodle to try yoga. Give a gentle yoga DVD a try at home, or find a great beginner’s class at a gym, yoga studio, or adult-education program in your town. Heart disease kills eight in 10 people who have diabetes, and one of the causes is off-rhythm heartbeats that can trigger heart attacks and sudden cardiac arrest. Dutch researchers report that people with diabetes who take rhythm-protecting drugs plus a daily dose of omega-3 fatty acids cut their odds for fatal heart trouble by 84 percent. Use the news: For best protection, say yes to all three kinds of good-for-you omega-3s. Get EPA and DHA from fatty fish like salmon, mackerel, sardines, and trout—and from fish oil or algal capsules. You’ll find plenty of the third type of omega-3, ALA, in ground flaxseed, walnuts, pumpkin seeds, and canola oil, and small amounts in kale, spinach, and salad greens. You may crave sugary treats when your energy levels dip, but scientists from England’s University of Cambridge say protein is a better choice for sustained energy. Amino acids like those found in foods like egg whites and grilled chicken stimulated “wake-you-up” brain cells called orexin cells, a study showed. In contrast, sugar blocked them. Use the news: Reach for a protein-packed pick-me-up next time you’re feeling sluggish. A hard-boiled egg or half of a chicken or tuna sandwich on whole-grain bread are easy, healthy ways to energize. Here are other superfoods for diabetes to eat more of. Overweight women who took classes about body image and emotional eating lost 3½ times more weight in a year than those who got typical diet advice in a study from the Technical University of Lisbon in Portugal. The “biggest losers” dropped more than body fat: They shed worries about body shape and size. By doing so, they gained emotional freedom that made sticking with a healthy eating and activity easier. Use the news: Don’t wait for the pounds to come off. Look at yourself with more compassion in the mirror, noting your most attractive features and appreciating everything that all parts of your body do for you. Think you’re a whiz at reading the Nutrition Facts panel? So claimed 33 percent of people in a University of Minnesota study. But using eye-scan technology that tracked what consumers really saw, scientists found that just nine percent consistently checked calorie counts. And only one percent looked at fat, sugar, and serving size on most products. Use the news: Know the serving size, then check calories, then fat (look for items low in saturated and trans fats). Make sure the carbohydrate count fits your meal plan. And look for good-for-you stuff like fiber. Here’s how to be smart about restaurant menus if you have diabetes. Just one to two alcoholic drinks a day can significantly blur your vision if you have diabetes, report Dutch researchers. The risk that visual sharpness would fall by two lines on a standard optometrist’s eye chart increased 83 percent over five years with moderate alcohol consumption. Use the news: The occasional drink can fit into a healthy blood-sugar management plan and may have heart-health benefits. But it may be better to switch to “near beer” or alcohol-free wine if you like a daily drink or have worries about your eyesight. Make time for both cardio and strength workouts. People who got aerobic exercise (walking, riding an exercise bike, or swimming) and did strength-training exercises lost more fat and were twice as likely to see a 0.5 percent drop in their A1c (a test of long-term blood-sugar levels) than those who did just one type of exercise, according to research from Canada’s Alberta Heritage Foundation for Medical Research. Use the news: Even if you have limited time for exercise, don’t spend it all on cardio alone. Ten to 15 minutes of strength training, two to three times a week makes a big difference. Here’s more on how physical activity is SO beneficial for diabetes. Teaming up with family members, the doctor, and the doctor’s staff helped people with diabetes increase their success at hitting healthy blood sugar, cholesterol, and blood pressure by a whopping 40 percent or more in a recent University of Pittsburgh study. Use the news: Assemble your own support team. Ask family members for emotional support and your doctor and other diabetes professionals, such as a certified diabetes educator or registered dietitian, for medical guidance. Here are the different types of doctors you may need to see if you have diabetes. While evidence suggests that coffee may lower diabetes risk, java may be trickier for people who already have diabetes. Researchers from Duke University found that people who took a pill containing sugar plus a cup of joe’s worth of caffeine saw blood sugar rise 21 percent higher than those who just got sugar. Insulin, the hormone that makes your body absorb blood sugar, rose 48 percent higher in people who got caffeine too. That’s bad news, a sign that caffeine caused insulin resistance, meaning their cells were having trouble absorbing blood sugar. Use the news: If your post-meal blood sugar levels are higher than you like, the culprit might not be what you’re eating—it could be the caffeine in your cup. Try decaf, herbal tea, or water instead of coffee or other caffeinated drinks. A bad night’s sleep raised morning blood sugar 23 percent and boosted insulin resistance by 82 percent in a large study of sleep’s effects on diabetes control. University of Chicago scientists say trouble falling asleep, trouble staying asleep, and sleep apnea affected blood-sugar control in study volunteers with diabetes. Use the news: If you’re not waking up refreshed, take action. Banish coffee and caffeine after noon, try to exercise earlier in the day rather than close to bedtime, and keep your boudoir dark and cool at night. Take signs of sleep apnea—disordered breathing during slumber like snorting, gasping, loud snoring, and breathing pauses during sleep—to your doctor for an evaluation. Grab your kid’s hula hoop and rock those hips. University of Wisconsin researchers report that hooping burns 210 calories in just 30 minutes and raises your heart rate as much as a brisk walk. Translation: This retro toy is actually a great piece of exercise equipment that can improve your cardiovascular fitness, burn calories, and improve blood-sugar control. You can hoop in bad weather, and it’s so much fun you won’t even think it’s exercise. Use the news: Hooping has always been popular with the grammar-school set, but in recent years, adults have turned it into a hit fitness trend. It’s easy to find all sorts of hoops and hoop-related exercise information online. Of course, you can always find a classic version at a toy store too. High-fat diets may program your brain for weight gain. Scientists at the Diabetes and Obesity Center of Excellence at the University of Washington in Seattle say an overload of fat may damage neurons in a brain region called the hypothalamus that regulates weight gain and weight maintenance. Use the news: Good fats like nuts, olive oil, and fish in moderation help your heart and blood sugar. But steer clear of fat bombs like a double cheeseburger, fries, and shake; stuffed-crust pizza; or that second helping of mom’s triple-cheese lasagna. They all contain an overload of saturated fat that seems to ratchet up inflammation that damages cells throughout the body. Half of all people with diabetes also have arthritis. Getting blood sugar-controlling, body weight-lowering physical activity can be tough when your joints ache, swell, or don’t want to bend. That’s dangerous—and common. Half of all women and 40 percent of all men with arthritis are virtually couch potatoes, according to a Northwestern University study. Just one in nine got the 150 minutes of activity per week recommended for good health. Use the news: Moving when your knees, hips, back, shoulders, or ankles hurt isn’t easy, but don’t give up. Talk with your doctor about pain medications and other treatments. Depression and diabetes commonly occur together, but treating them simultaneously can mean a better recovery on both fronts, found research published in Annals of Family Medicine. Researchers studied 180 patients with depression and type 2 diabetes who received treatment for both and took part in a program on adhering to medication regimens. After 12 weeks, 61 percent of patients had better blood sugar tests, and nearly the same number had fewer depression symptoms. Use the news: If you’re experiencing depression symptoms (such as sleeping more or less than usual, a lack of interest in things and activities you usually love, a change in eating habits) talk to your doctor about getting the right treatment.